What is Alpha? Life is full of big questions. 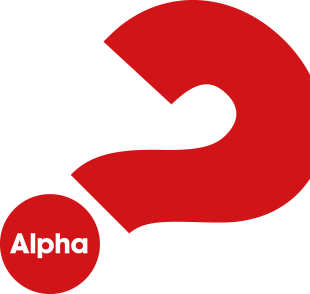 Alpha is a space to explore life's big questions, to say what you think and to hear other people's points of view. Life is full of big questions. Alpha is a space to explore life’s big questions, to say what you think and to hear other people’s points of view. Whether you are seeking answers, wanting to grow in your spirituality or are thrilled to see this global ministry in your community and want to get involved, please join us! Meeting Sunday nights at 6pm at the ECC offices. Contact Steve Andrukaitis (sta34485@bethel.edu) Alpha is run all around the globe, and everyone is welcome. Bring your questions. Bring your friends.